Minimally invasive hand and wrist surgery helps patients find relief from fractures, carpal tunnel syndrome, arthritis, and other common ailments, without the extensive open incisions of more invasive treatment options. This approach allows for a shorter hospital stay and faster recovery, enabling you to return to your usual day-to-day activities sooner rather than later. Minimally invasive procedures are often delineated as either employing arthroscopic efforts, or following a more indirect path of assessment and care. Wrist fractures are common amongst bone and joint injuries, and may include more specific damage to the distal radius, distal radioulnar joint, or scaphoid. While the distal radioulnar joint is the meeting point of the radius and ulna, the scaphoid is located between the thumb and forearm. Proclivity to wrist fractures can be found amongst youth (period of growth), those of advanced age (decreased bone density), and athletes in impact sports; however, anyone can be subject to situational damage or injury, requiring orthopaedic care. Based on your unique situation and needs, an orthopedic hand and wrist surgeon will prescribe a course of regimented treatment and recovery. Arthritic spurs are a form of osteophyte, a bony projection that develops along a joint, causing pain or limited range of motion. 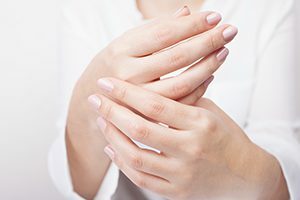 These formations are often a sign of your body’s effort to increase surface area and better distribute weight within a joint that has been progressively damaged by arthritis. Not all arthritic spurs require surgical intervention; however, in the most severe cases, arthroscopic treatment may be recommended. Cartilage, a flexible connective tissue within the hand and wrist, may be subject to either traumatic injury, or gradual wear-and-tear. Damage to cartilage is often painful and persistent, as the body has very limited ability to self-heal, requiring medical intervention for successful repair. In cases of such injury, arthroscopy will often be a first measure in diagnosis, even if more varied treatment methods are later applied. In the treatment of carpal tunnel syndrome, your physician will begin by examining the severity of your unique case. Tests may include a physical performance assessment, electrophysiological diagnostics, and/or x-rays. The goal will be to confirm the presence of carpal tunnel syndrome, assess all factors contributing to limited wrist movement, and determine the best method for successful treatment. Should non-invasive methods prove unsuccessful, your orthopaedic surgeon may recommend more in-depth intervention and ligament repair. If surgery is recommended, your physician will work with you to determine the best approach (often endoscopic), as well as provide guidance for both short and long-term recovery. Our surgeons are fellowship trained in Hand and Microsurgery. If you are in search of expert hand and wrist care, contact our office.